When you are blogging you allow some adds from any advertising network or from companies directly on your site. Doing so you have a very limited space to provide so you prefer the ones that pay you the most. It is not an easy task. you have to keep several things in your mind while giving space to different advertisers. Google DFP is a very effective tool for this purpose. You can manage these advertisements easily with the help of it. It is a service provided by Google and the best thing about it is that it is free of cost. You can choose any type of advertisements to display on your site. These advertisements include banner adds, text adds as well as rich media adds. Any one can use it but he should have an active Google AdSense account. To further elaborate suppose you have site where you have some information about technology, sports, entertainment and other things. Now if there is an advertiser who wants to display his adds on your technology related pages you can use Google DFP to display his adds on these pages and the rest of the pages will be filled by Google AdSense. You have to tell the DFP about the space you have for advertising on your site. You will have to determine the size of the banners or the other advertising things. Now tell the position of the ad in the description. You have different places to place an ad on a page. Some advertisers want to display their ads on multiple ad units on the same page. You have to do some settings for such kind of advertisers. Create a group or placement of the ad units used by the same advertiser. Also offer this placement to the advertiser through AdWords. Now in the step three you have to take an order for an advertiser. Get the information about the advertising campaign from him. He will tell you the type of audience he wants to target and he will also tell you the price he is willing to pay and the time duration of the campaign. Fill the form by using the information the advertiser gave you. 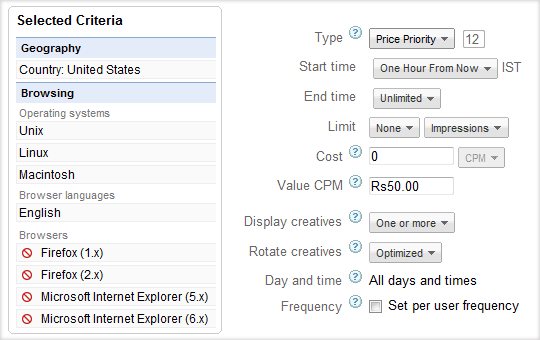 You can check "Price Priority" to get the maximum output. CPM is the price the client is willing to pay you. Now go to "Line Items" from DFP and then select your Line Item. 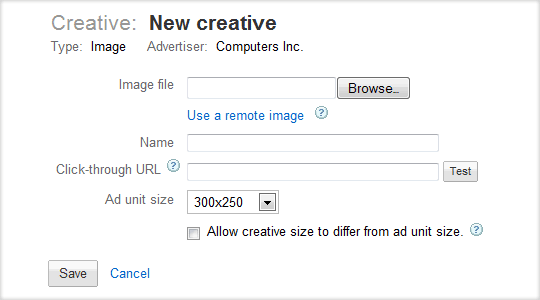 Now click on the ad creatives button, then on the new ad creative button and upload the ad. You are also given an option to upload multiple ads at a time. Go to Inventory in DFP and click on "Generate Ad Tags". Then select the ad unit you want to use and click on "Generate Tags". At the end paste this code on your website and that's it. ENJOY!! BloggingeHow | Making Blogging Simpler: How to Start Earning Dollars With Google DFP?